Bessie Potter Vonnoh was one of the most prolific and popular sculptors of genre in the first decades of the 20th Century in America. Her popularity and fame were based on her choice of subject matter---primarily mothers and children at play and in intimate little groupings---rendered in a tender, intimate, engaging, and somewhat nostalgic fashion which made them extremely appealing to the public which loved her wholesome and easily recognizable style. In contrast to the pretentious memorials and elaborate architectural creations of her peers and fellow sculptors working during the same period, Vonnoh like Mary Cassatt was able to sculpt works which exuded a sense of delicate domesticity balanced with the simple joys of motherhood. Bessie Potter Vonnoh was born in St. Louis, Missouri in 1872. About 1890 she traveled to Chicago and apprenticed with Lorado Taft at the Art Institute of Chicago. 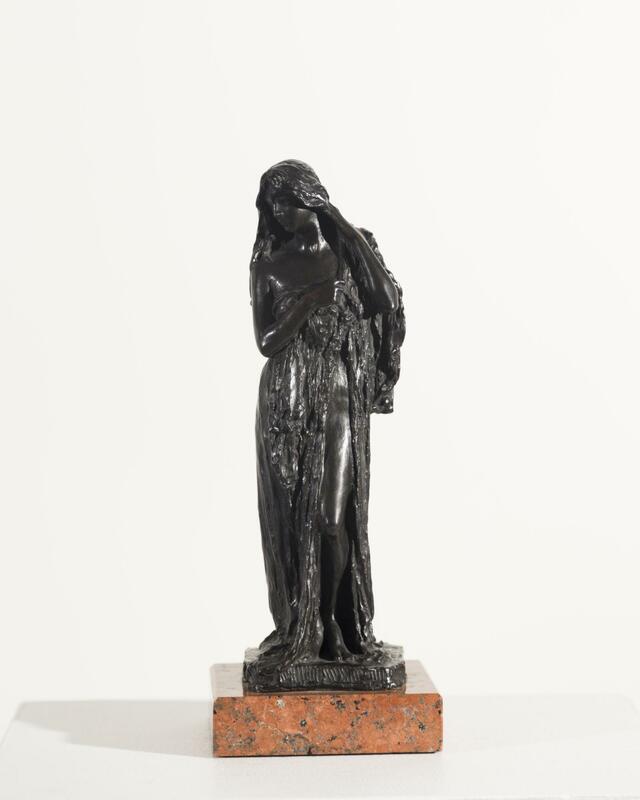 She later became his assistant and helped him with sculptures that he submitted at the Columbia Exposition of 1893 where she also exhibited some of her own works. At the fair Vonnoh was fascinated with the small figures by the Russian sculptor Paul Troubetzkoy which more than likely inspired her own later varied iterations of mothers and children. In 1894 Potter rented her first studio and said "I left behind me forever the swaddling clothes of art student life and became a professional." And "I invited my girl friends to pose, making little statuettes of them just as they dropped in, dressed in all the incongruities of the day." 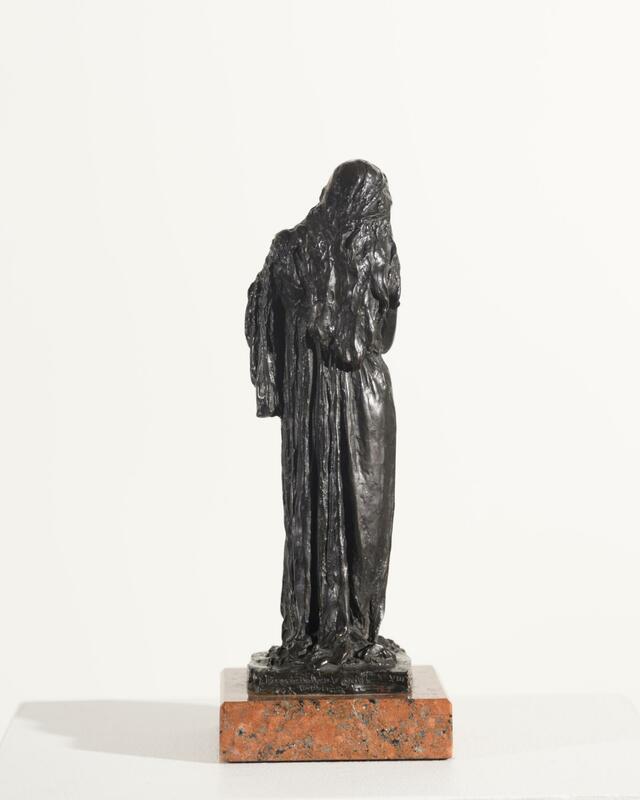 Her approach was a radical rejection of the classical Greek ideals and instead she sought to capture the everyday beauty of her modern world in modest sizes that she called statuettes. In 1896 she modeled A Young Mother, thought to be one of her first along the mother and children themes. 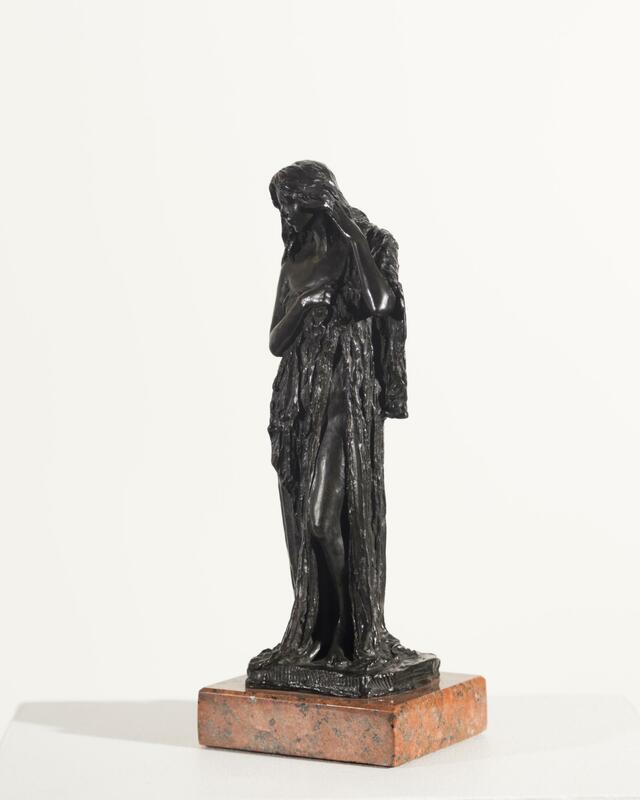 These works won recognition as her Young Mother received a bronze medal at the Paris Exposition of 1895 and again along with Midsummer won honorable mentions at the Pan-American Exposition in Buffalo in 1898. In 1899 Bessie Potter married the painter Robert Vonnoh. Their time together was marked by one of mutual respect and promotion of one another’s works. Bessie Potter Vonnoh was one of the most prolific and popular sculptors of genre in the first decades of the 20th Century in America. Inspired like many of her contemporaries with the Impressionist practice of taking modern life as subject matter for their work, Vonnoh began to focus on subjects of children, young girls, and mothers. Because of her choice of subject matter Vonnoh enjoyed great popularity and fame. The public loved her wholesome and recognizable style. Vonnoh’s first solo exhibition was held at the Corcoran Gallery of Art in March 1910 to critical acclaim. It was around this time that our Daphne was modeled. 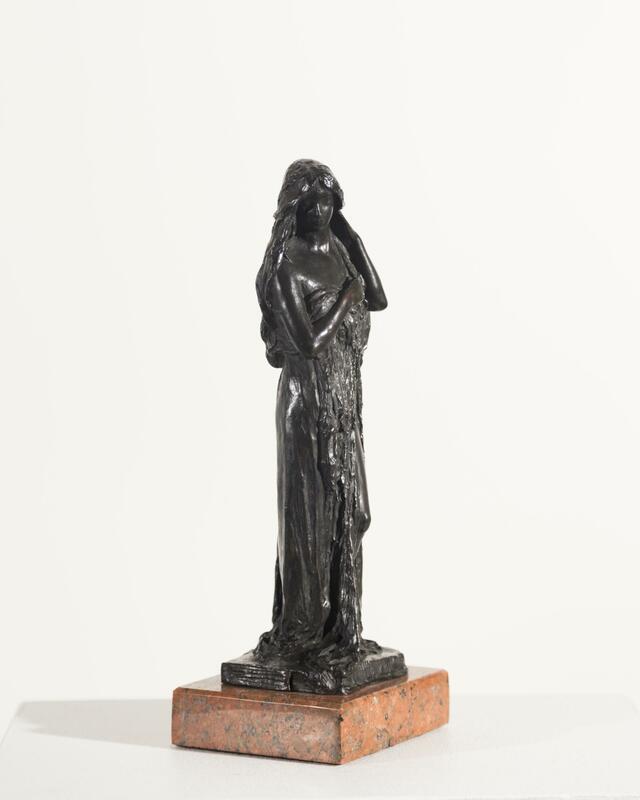 In early 1913 two years before our Daphne was cast, Vonnoh displayed several new sculptures, including In Grecian Draperies, modeled in 1912 or 1913, showing a modern American woman in ancient Greek attire. This sculpture appeared in Vonnoh's largest solo exhibition of forty-five works in 1913 at the Brooklyn Institute of Arts and Sciences which purchased thirteen of her sculptures. 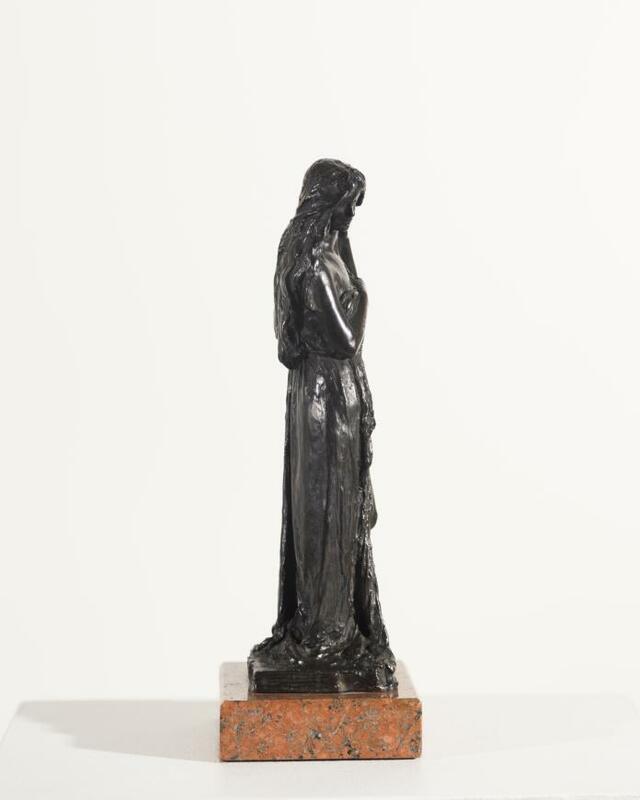 A number of these sculptures remain to this day in the permanent collection of the Brooklyn Institute of Arts or later the Brooklyn Museum. It is interesting to note that this theme of an American woman in ancient Grecian attire appears also in our Daphne. 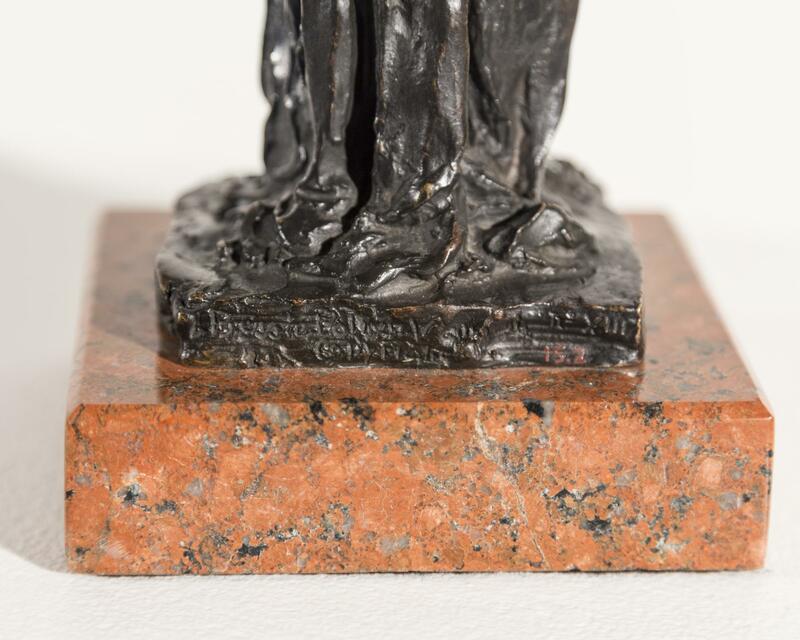 The overall effect is one of monumentality and elegance on an intimate engaging scale. 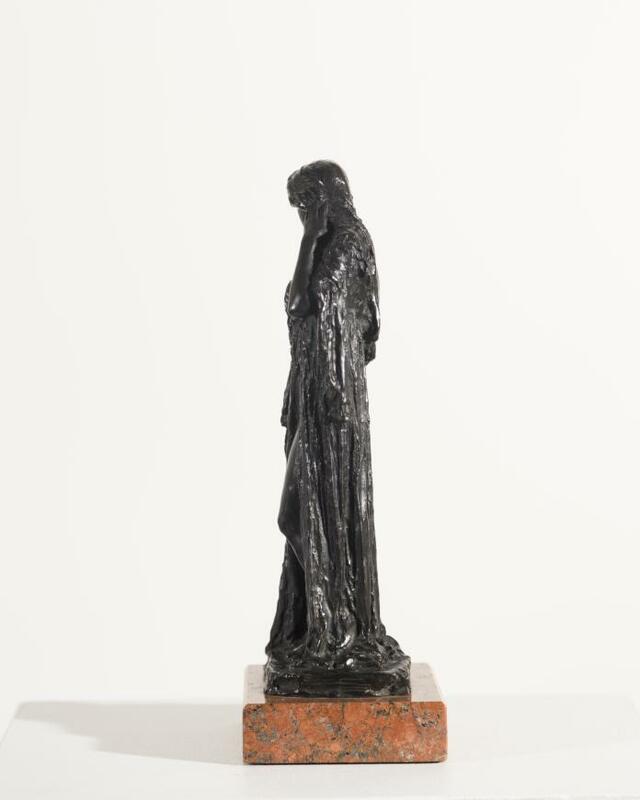 Vonnoh is important in 20th century sculpture because she changes the notion that a sculptor needs to depict monumental, lofty or historical matter in sculpture. Daphne highlights Potter’s remarkable abilities and establishes her as one of the most accomplished sculptors of the America’s Gilded Age.